Data is a game-changer for radio. 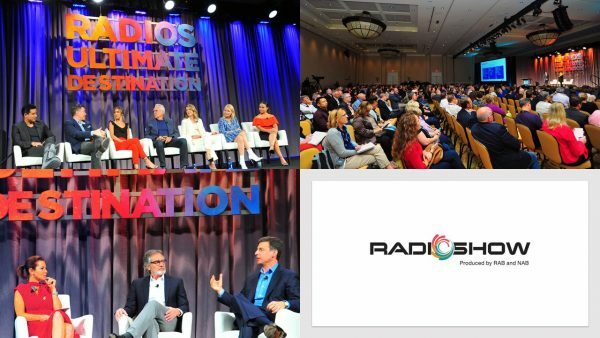 Radio is a multi-platform and integrated medium that has an incredibly loyal audience. Tapping into the available insights and information that radio stations can glean from listener databases, surveys, social media, etc. will help to drive revenue and positively impact stations’ programming, sales and marketing efforts. Radio works. Advertisers continue to see the benefits of including radio within their marketing plan. Radio can amplify the impact of other media. Radio can influence behavior and brand consideration. Radio can drive awareness. Radio drives store traffic. Based upon real-world campaigns across a broad range of retail brands in four major ad categories, on average, radio drove a 22% lift in store traffic. Find details here. Radio rules the dash. The car is the top location for audio listening and, despite new in-dash entertainment options, broadcast radio listening is still the most dominant in-car audio choice. Relationships matter. Data and analytics are great tools but it all begins and ends with a relationship. Strength in relationships between customers and clients are the most important things we can work on. Understand perspectives. The role that the radio seller and buyer has are each very different. Appreciation for the responsibilities and experience each party brings to the table will help build successful partnerships. Radio is swimming in a sea of new information. Radio combined with digital helps increase sales. Also, a strong creative message helps effectiveness and can help a brand be more likeable. Podcast and Broadcast can be a powerful combination. Radio should continue to embrace podcasting. Podcasts can help personalities and hosts extend their content beyond on-air programming, expanding the audience they reach. The podcast and radio audiences are different. For music artists, it creates and offers fans a different perspective. “As an artist it’s very appealing, because podcasting gives my audience the chance to have a 360 relationship with me,” said multi-platinum recording artist Jewel. Embrace change. Technology is creating massive shifts in how consumers engage with all media, including audio. All industries, especially radio, need to have four types of diversity – ethnicity, gender, background and, most importantly, thinking. Different opinions and schools of thought will help organizations and the radio industry grow. Radio does good. Radio entertains and improves mood but, more importantly, radio makes a difference during times of crisis. During natural disasters such fires or floods radio can save lives. And after events like the Pulse nightclub shooting in Florida, radio can help a community heal. To view Radio Show sessions on demand and see what you missed, click here.